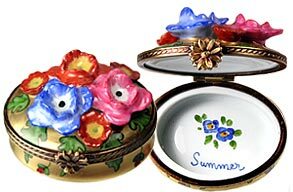 Chamart's founder, Charles Martine, began importing fine French porcelain to the United States in the early 1950's, and by 1965 had expanded the company's line to introduce the first collection of wonderful French Limoges boxes in the US. 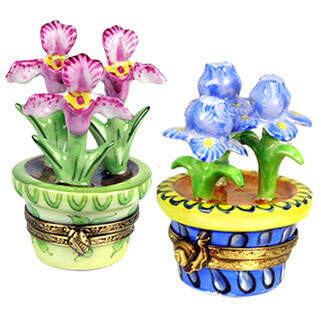 As collectors developed a passion for these charming little treasures, the company continued to expand its Limoges box line over the years, now numbering over 2,500 different styles. The vast majority of these are exclusive to Chamart. Leny Davidson, Charles Martine's niece, is now Chamart's president. Mrs. Davidson is uncompromising in maintaining Chamart's high standards for extraordinary craftsmanship and hand painting. No decals, transfers or stencils are ever used. Shortcuts of any kind are simply unthinkable at Chamart.